Finally, the new X35 coils began to appear on the market. So far, only a small amount in Europe could be pre-ordered, something which we did. 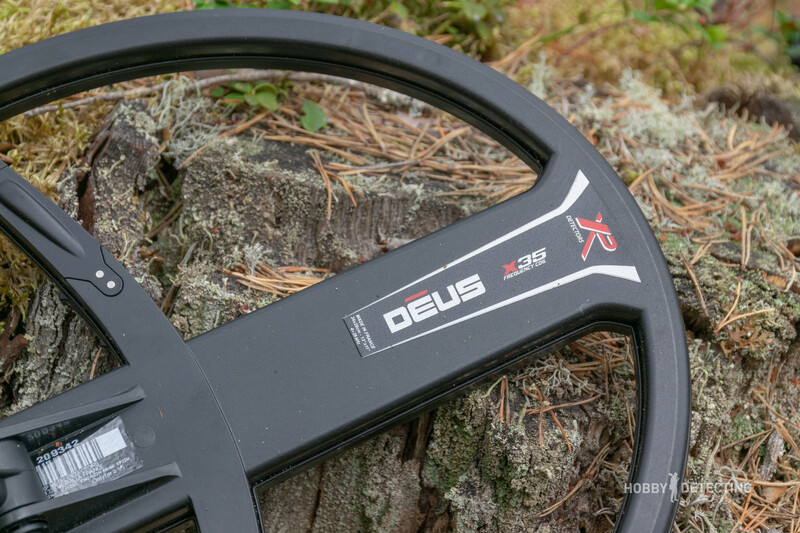 We decided to look at the biggest coil for the XP Deus – the 13″ DD. The differences are immediately noticeable when you take a coil in your hand. Did it just seem to me or is the plastic material different? This is probably a more durable and better plastic because it feels different than the old black coils. But this is not the main thing – you need to see what the coil works out in the field. 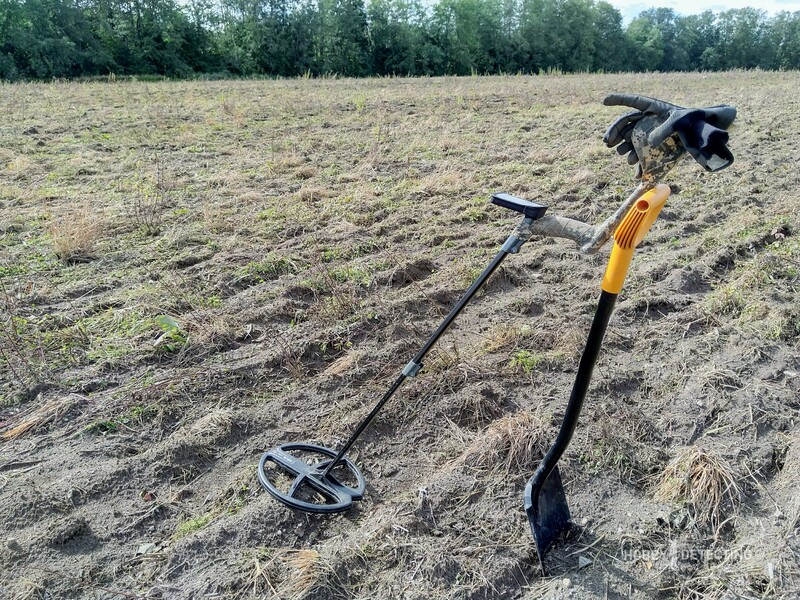 We conducted a depth test on our testing range – we buried 7 five-kopeck coins from the USSR (1981-1983 variants, all basically the same). 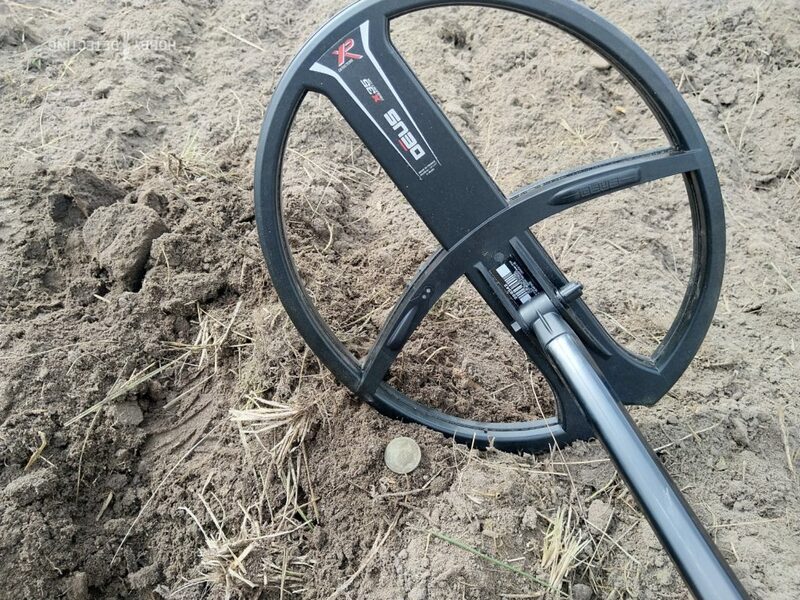 These were very frequent coins back in the USSR, and they are, nevertheless, large enough and thin, which means they can be buried deeper to check how the signal will sound. We dug the coins at the following depths: 5 cm, 10 cm, 15 cm, 20 cm, 25 cm, 30 cm, 35 cm. So, what was the result? Apparently, the coil quite confidently saw the coin at 30 cm, but at 35 cm it disappeared. But this isn’t too much of a surprise, the Deus is not considered the deepest metal detector, but the most universal, lightweight, compact and with a good sensitivity to small finds. 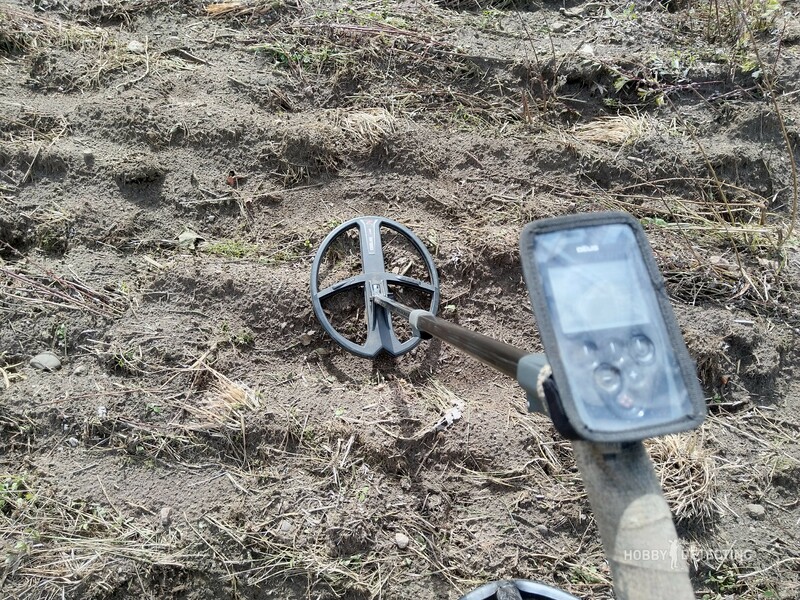 The second part of my test with the coil was a real detecting trip with it on an apparently “empty” field. It was very interesting to look at the coil in action. I will just say this right away – the new coils work much more stable than the previous! It used to be that the 13″ coil with the sensitivity settings of 85-87 and more began to give false signals in the field, but now I can put the sensitivity as much as to 94! And no false signals! This, of course, is a surprise, but a welcome one. The coil is surprisingly quiet and calm. It can be seen that a machine was used in the production of these coils, no human hand can achieve this accuracy. 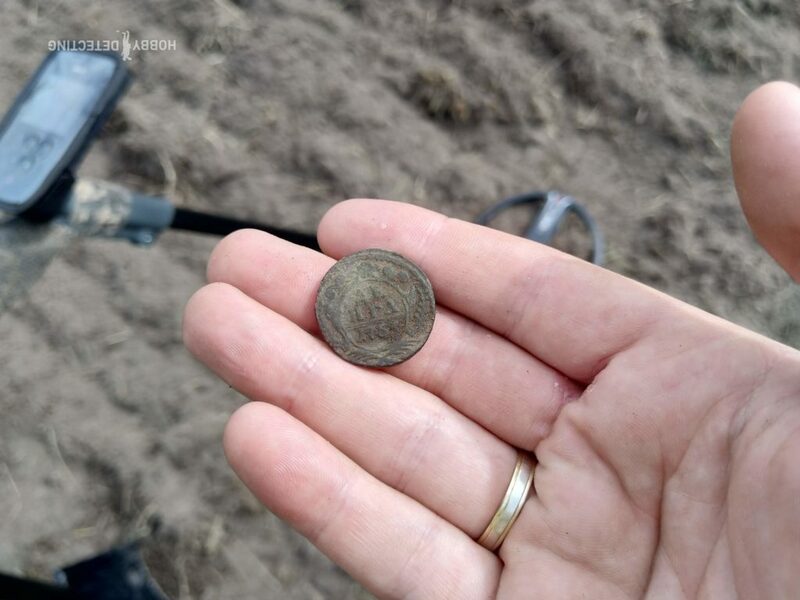 One of the first and pleasant finds with the X35 was Denga coin from 1753 on “empty” field next to an old Inn. I found it on a depth of 20 cm, it was a very clear and stable signal. By the way, it’s very interesting that the Pitch program on version 5.1 is pretty much transformed. It shows a lot more objects in the ground than before, but we’ll still check this further, and we’ll keep you updated. What can I say about the new coil? The new X35 became very stable, works better on wet ground, and also with a small, but still, a noticeable gain in depth, compared to the old coils. If this is associated with the possibility of using higher sensitivity settings and coil currents, I do not know. We will check this out and give you more details, so stay tuned!